The Toronto Maple Leafs’ season is winding down and even though they seemed to be a surefire lock to make the post-season a couple weeks ago their playoff position remains in jeopardy. 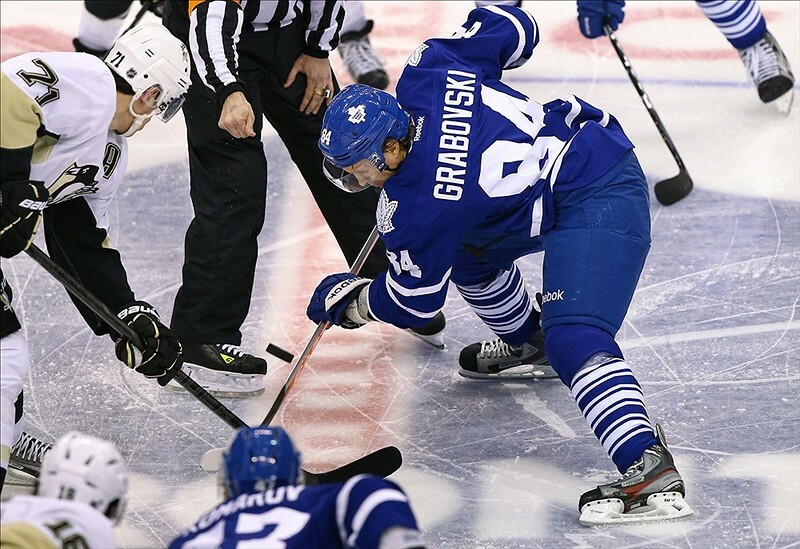 The Maple Leafs’ recent play has been well-documented. They have struggled to put together a good game, one where they have deserved to win. Rather they have given James Reimer the chance to take the spotlight ─ something that’s not entirely a good thing ─ and steal some games all too often. He has come through for the most part. If they expect to find their ground again, the Maple Leafs need to search for a more effective way to win than relying on the play of their goaltender. Let’s face it: they didn’t deserve to win against the Montreal Canadiens or the New Jersey Devils this past weekend but Reimer gave them the chance and the came out victorious. Unfortunately for Toronto, it didn’t get so luck in the last two contests against the Washington Capitals and New York Islanders. Regardless of how you view the Leafs’ recent play, there is no debating that the team’s last four games will be crucial. If they lose all four, their playoff spot is in serious jeopardy. Win one and they’re pretty much in if not already. The Senators have been involved in somewhat of a free fall down the Eastern Conference standings lately while the Maple Leafs look to grasp a playoff berth for the first time in nine years. Toronto has a 3-1 series lead on the Senators in the regular season but none of the previous four games can match the importance of this one. Ottawa is currently one point behind Toronto but only four points up on eighth after looking like a Stanley Cup contender earlier in the season. However, that doesn’t mean this Senators team is to be taken lightly. 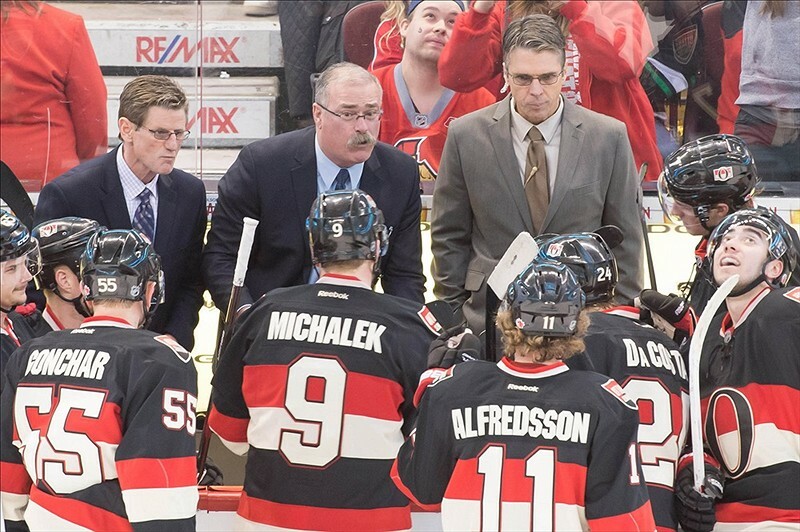 The Senators are a dangerously underrated team with tools at their disposal. Kyle Turris has proven to be a difference maker while rookies Jakob Silfverberg and Corey Conacher can explode at any time. Sergei Gonchar provides a offensive presence on the back-end and goalie Craig Anderson played very well in his lone start against the Maple Leafs this season. Ottawa doesn’t possess a lethal lineup by any means but they are the most well-coached team in the league. That said, this one will come down to the way the game is played rather than who it is played by. The season series between the Leafs and the Lightning is tied at one game a piece which should be disappointing for Leaf fans considering the Lightning have been below Toronto all season long and currently sit 15 points back. Similar to the Senators, the Lightning have tools they can use at any time. Steven Stamkos has 20 points in 18 career games against the Maple Leafs and 53 points in 44 games this season. Combine his skill and finesse with the likes of Martin St. Louis and Vincent Lecavalier as well as the defensive presence of Victor Hedman and you have yourself a core of players that could take on any team. Given the Lightning’s pool of talent on the top line, coach Randy Carlyle may have to play Dion Phaneuf a little more against the opposition’s best to keep the Leafs’ chances at remaining defensively stable respectable. Watch for a very hard-fought game. Depending on how the game in Tampa Bay goes, this one may be the toughest of the final four contests the Maple Leafs will have to endure. Toronto has swept Florida thus far this season, outscoring them 6-2 including a 3-0 shutout on February 18. Don’t let that get you too excited, though; Toronto has also been out-shot in both games by a combined 79-64. Among Tampa Bay, Florida, Montreal and Ottawa, Florida appears to be the easiest team to beat on paper. As mentioned, despite the shots on goal, the Maple Leafs have managed to hang on against the Panthers in both meetings. As well, Florida sits last in the NHL with a record of 13-24-6 and is currently in the midst of a four-game losing skid. Considering the struggles of Jacob Markstrom and Scott Clemmensen and the impressive statistics of James Reimer, this game may come down to goaltending, just as the Leafs’ last two wins have. A potential first round preview, the final game of the season is a highly-anticipated one as both the Maple Leafs and Canadiens have been having strong campaigns. Yet somehow, even though Montreal sits comfortably ahead of Toronto in the standings, the Leafs have successfully taken down the Habs three of four times this season. Carey Price finally found his legs again on Thursday night when he made 32 saves in a win over the Lightning. Prior to that game, Price had lost five of his last six games and was struggling to provide stable and solid goaltending. 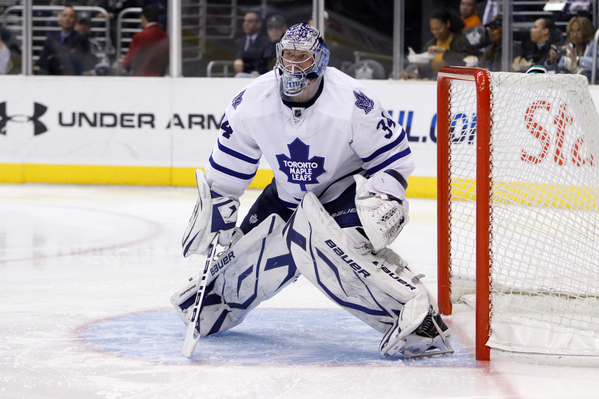 He has played mediocre hockey against the Maple Leafs in 2013 while James Reimer has been spectacular versus Montreal. As usual, you can expect some bodies to be tossed around and some punches to be thrown by the players as hockey’s greatest rivalry adds another chapter to its historic book.